Pacific Northwest mountain snowpack is related to the El Nino / Southern Oscillation (ENSO) and Pacific Decadal Oscillation (PDO). This document examines the correspondence from 1995 – 2010. [http://www.wcc.nrcs.usda.gov/cgibin/westsnow.pl] The following figures compare the April 1 snowpack with the Multivariate ENSO Index. Arrows are colored to match sign of the MEI. From the above snowpack figures, it can be seen that the April 1 snowpack corresponds to the ENSO (MEI). The only years when this is not the case are 1996 and 2001. The changes in general snowpack levels correspond with the shifts in the PDO between negative and positive phases. The negative (cold) phase of the PDO corresponds to increased snowpack levels. 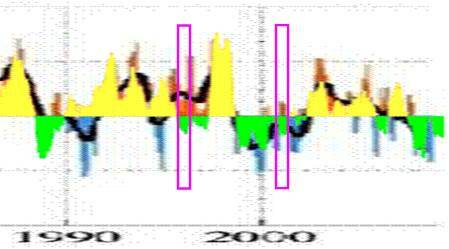 The next figure shows the ENSO-MEI (changed to yellow / green), superimposed on the PDO. The years 1996 and 2001 are indicated by the magenta boxes. 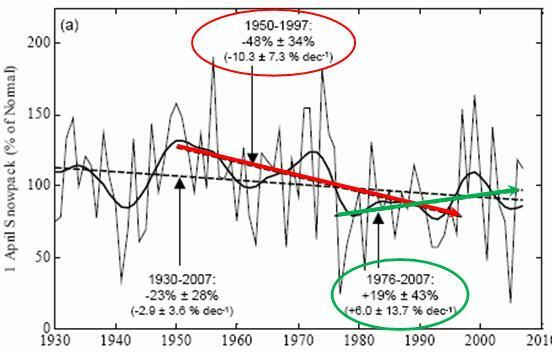 In most years the MEI and PDO are in phase. 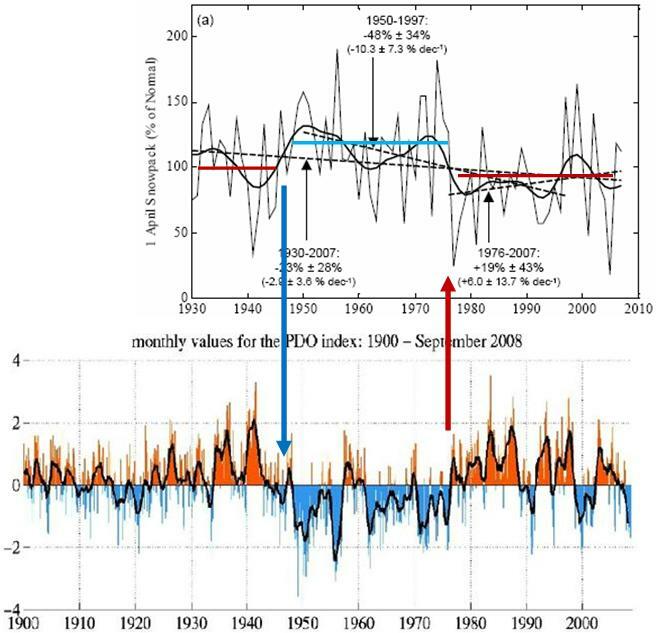 In 1996 and 2001 they are out of phase – and the PDO is positive, resulting in reduced snowpack. 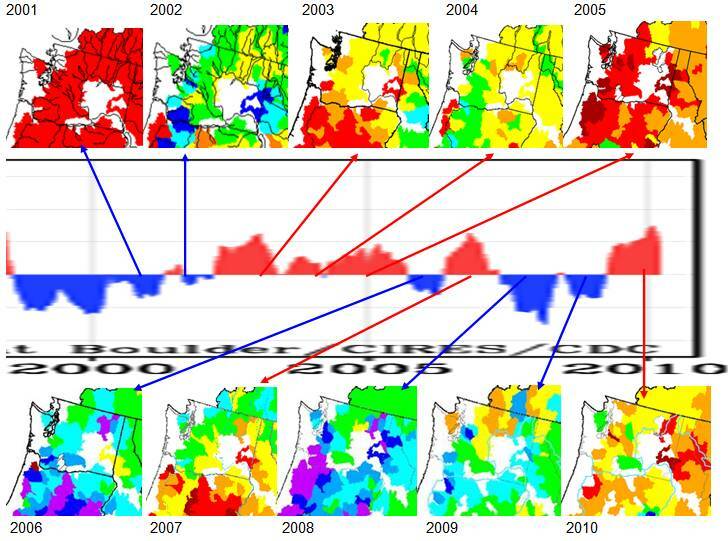 This indicates that the PDO has a significant influence on the PNW mountain snowpack. 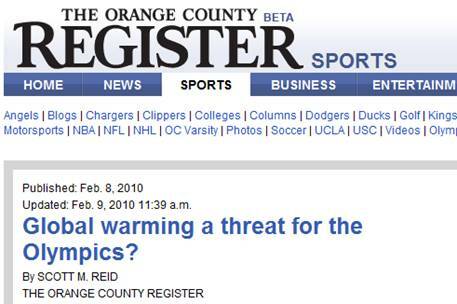 The coincidence of the 2010 winter Olympics with a winter El Nino was fodder for global warming alarmists. 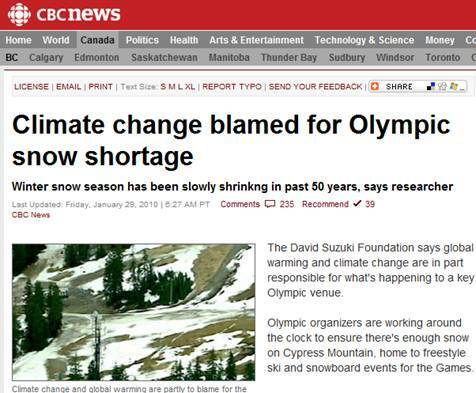 Of course Suzuki’s main mouthpiece – Canada’s CBC – also promotes his unsubstantiated claims. The following figures show (left) the typical winter El Nino impacts – warmer than normal in southern Canada, colder and snowier than normal in the southern US, and (right) the matching pattern on mountain snowpack. Washington and Oregon Democratic politicians and environmentalists routinely blame reduced mountain snowpack on global warming. A selective choice of 1950 as a starting point in the statements leads to a misrepresentation of the facts. During the period assigned to CO2 influence – since the mid 1970s – the snowpack has shown an increasing trend. 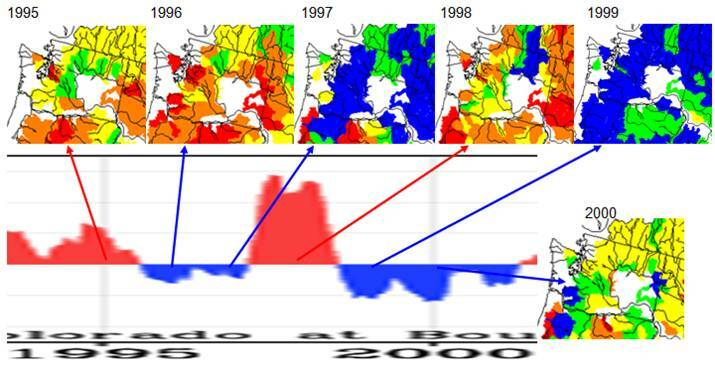 In actuality the trend goes up and down in sync with the PDO cycle as shown previously.